Empathy, Intimate connection and Involvement await you! Who your real enemy is. How to prepare for battle. Where the resources are to overcome your brokenness. What to do if you want intimate connection with others. Discover what arises in the turbulent life of Naomi Parker that takes her from a place of fear and shame to compassion for those in similar circumstances. After finding her purpose, Naomi is able to intimately connect with those who struggle with similar life altering issues. This unique journey of perseverance is worth the read. The author is committed to donate a portion of the proceeds of From Crisis to Compassion directly to organizations challenging human trafficking. Sally Betters is an entrepreneur at heart with diverse experience in small business ownership and community involvement. She has owned and operated, More than Words, Professional Tutorial Services for over fifteen years. She is passionate about her work with individuals who struggle with learning differences and enjoys witnessing both incremental and drastic improvement in their self-esteem and academic growth. She excels as a leader in group environments and attracts others through her compassion, knowledge base and willingness to work with various age and income groups. As a Certified Professional Tutor specializing in children and adults with Dyslexia and Dysgraphia, Ms. Betters speaks to parent groups and Homeschoolers to educate them on Research based systems. She has positively impacted numerous students and their families with her expertise. Regarding abortion, Sally has also spoken to churches, pastors and community groups on the impact of abortion on women. She also worked with the Post Abortion Counseling Program for the Santa Clarita Valley Pregnancy Center. She was a founding Board Member of the Vine Pregnancy Center in her mountain community. She is blessed to live in a beautiful mountain community with her soul mate, her husband, Richard in Southern California. Together they have four adult children and four beautiful granddaughters. 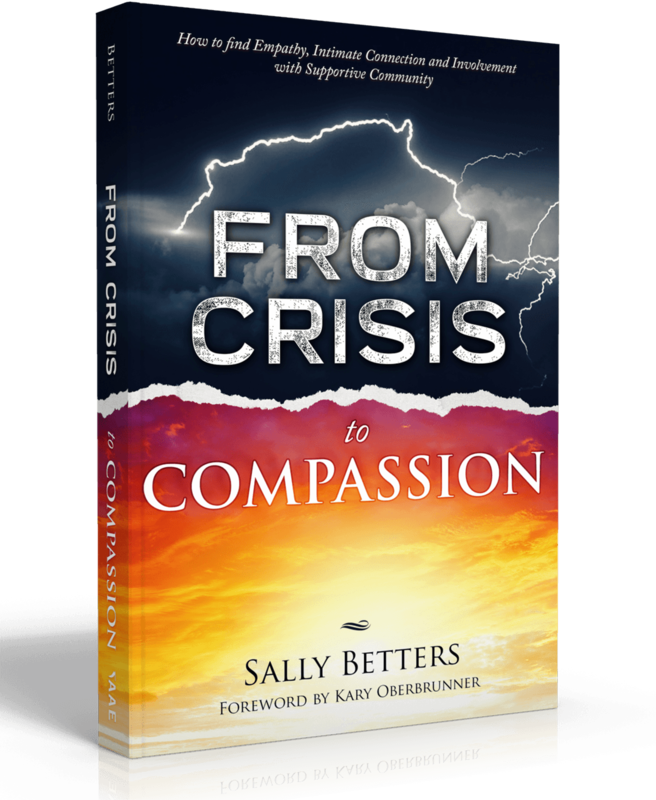 To contact Sally, for information on booking her to speak at your event, visit her website at sallybetters.com. If you’re interested in personal coaching you can email her at info@sallybetters.com.